In April 2016 we invested in the future by installing our new 4.4kW Bystronic Byspeed Pro 3015 Laser profiling machine which is helping us service both our internal fabrication requirements and also the external subcontract market which is continually growing. Our investment in both machinery and staff will ensure Premier Engineering (Yorkshire) Ltd will remain one of the leading Subcontractors in the UK. Our services range from initial site survey to design and manufacturing drawings, Laser cutting, fabrication and final installation. We have a separate Stainless steel facility ensuring cross contamination is eliminated. Our Clients include local and national construction and shop fitting companies, particularly where high end bespoke items are required. Premier Engineering have completed several metalwork fabrication schemes… to the agreed timescales and standards. They have worked in sensitive locations and the feedback we have had from our residents has been excellent. Premier Engineering have carried out metalwork fabrication works for English Heritage for several years. The workforce is well managed, fully H&S conscious and respectful of the need for extreme care when working on an Ancient Monument where the visiting public are present. I have no problem in recommending this companies services. 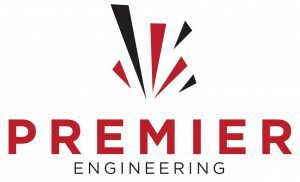 Premier Engineering are one of our key partnering Sub contractors due to their excellence in delivering the required product from initial enquiry to handover. The work produced is of the highest quality and we have no hesitation whatsoever in recommending this company. Thanks for a job well done from start to finish, made a brilliant asset to our home. Would recommend you to anybody. Many thanks... for two excellent jobs. The gates and internal staircase far exceeded my expectations.